Ending 2015 with a whoopie cushion of a BANG with the craziest drag racing video you will see this entire decade. 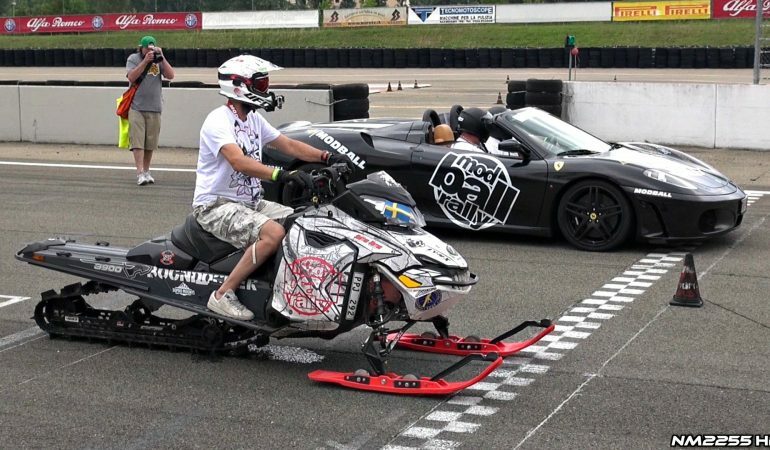 This insane drag race takes place at the 2015 Modball Rally at the famed Varano de Melebari racetrack in some place called Italy and features a rather powerful snowmobile drag racing a Ferarri Spider 458 and a Ferrari F340 Spider. So, these holidays as you are sitting around the dinner table with your loved ones you can proudly declare that you have seen two Ferarris drag race a snowmobile.